This children’s book is a direct, hard-hitting look at the injustices experienced by Japanese-Americans during WWII, when they were all rounded up and sent to relocation camps. 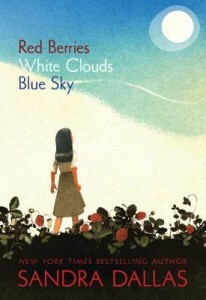 The story is told through the eyes of a twelve-year-old girl, who goes through her own upheavals as she learns to cope. The book also brings in the role of Japanese women, cultural issues, and family loyalty. There is nothing about this children’s book that beats around the bush when it comes to depicting the struggles the families had to maintain their dignity and culture. I like the writing quite a bit, and it is as powerful as Dallas’s other children’s book, The Quilt Walk. As with The Quilt Book, the author presents the reality of life, with its many good and also difficult issues and approaches them with wisdom and compassion. I find this kind of historical fiction book would have two audiences: one would be Japanese families who want their children to know what happened. The other would be excellent classroom use for older (5th grade and up) children studying about prejudice, WWII or something about other cultures.